With a new year upon us, we reflect on the few improvements that would make our daily work more meaningful and productive. Building codes are merely confusing dry ink if they are not enforced. When some municipalities require a stringent following of the code and others do not- out of intention or ignorance- the result is a confused builder community and duped home owners. Slight variation of interpretation is healthy, as the energy code is arguably meant to be flexible. Yet huge discrepancies in enforcement only hurt the building industry and curtail the benefits of home performance standards. In 2016, I would like to see states hold building inspectors accountable for consistent and accurate enforcement of the energy codes. The 2015 IECC goes live in MA in 2016. In Massachusetts, approximately half of municipalities have an advanced energy code called the 'Stretch Code'. Ironically, as the base code bumped from the 2009 IECC to the 2012 IECC, the Stretch Code did not get revised. The result is that some aspects of the optional advanced code, are behind the base code (for instance <7 ACH50 in Stretch Code towns, and <3 ACH50 in base code towns). Fortunately the 2015 IECC MA amendments contain a Stretch Code update that is much shorter and simpler, yet more robust: HERS <70 to HERS <55 for new homes! In 2016, I look forward to the 2015 IECC adoption and the corresponding Stretch Code updates that will bring a simpler and more consistent energy code to Massachusetts. Some builders and developers understand that they are paying for a HERS rater for code and/or rebate program purposes so they might as well utilize the rater as a consultant, beyond the primary task of completing the required HERS rating or code testing. Althogh there are different perspectives on the roll of the HERS rater, most raters I hope, will provide valuable input to increase the quality of the home and to increase confidence that performance targets are met. At HIS & HERS, we include consulting in our base service. The earlier we are involved in a project, the more value can be had in working with us. In 2016, I hope that builders contact us as early as possible in the design process to leverage the consulting we provide (for 'free') on each project. 7. Energy Efficient Mortgages get bolstered by realtors. EEMs are a great financing tool that increases borrowing capability based on true (modeled) energy costs. Yet there isn't a demand in Western MA. My sense is that the real-estate industry is still dragging it's feet valuing energy efficiency and therefore is not pushing for streamlined energy efficiency financing tools. In 2016, I hope to see EEMs grow, spurred by realtors. Even better than EEMs, residential PACE financing has the potential to popularize the Medium Energy Retrofit - practical retrofits that go beyond 'free energy audit' utility programs yet not quiet as comprehensive as Deep Energy Retrofits. PACE can be a major resource for workscopes in the $10-$30k range. There are countless older homes that need a systematic approach to building efficiency upgrades. Municipalities are ready, States are ready, homeowners are ready .... now we're just waiting on guidelines to resolve the FHA issue , and probably some approval of Wall Street to let the money flow into these programs. In 2016, I hope the Northeast aging housing stock can benefit from PACE financing programs such as HERO in California. It's not rocket science, it's building science. Most builders learn after the first project in a 2012 IECC code jurisdiction, that understanding airtightness and concepts of building science, improves the likelihood of their success in meeting code requirements. Yet some don't ask questions, and aside from plowing though cases of caulk, don't think much about airtightness until the final test-out. These folks have to be dragged out of the dark ages. In 2016, I look forward to all my builder clients asking questions about air barrier design and integrity. 4. Utilities pay interest on payments later then 60 days. In the digital age and utility efficiency programs with large budgets for administration, it's amazing to me that giant utility companies can't pay program partnered contractors in a timely manner. This holiday season we were informed that a significant payment for work already completed will be postponed, bringing the time from project completion to payment to over 90 days. In 2016, I hope to see better terms of payment for energy efficiency professionals by utility efficiency programs. Minisplit designs are all over the place. Heating and cooling with ductless mini splits is a great option in low load homes that have appropriate floor plans. The approach to designing systems varies greatly, due to the assumptions the installer has about occupant comfort, and home performance. One contractor may propose 3 units, while another may propose 7 for the same home. In 2016, I would like to see manufacturers align on system design standards and offer trainings to installers, designers, and building performance professionals. Panasonic Whisper Select bathroom fans are great for homes that do not have balanced ventilation systems (HRV/ERV) . Yet bath fan exhaust-only ventilation systems are limited. As homes become tighter, and energy codes require ASHRAE ventilation, it would be great to have lower cost whole house ventilation systems. The Lunos approach is effective and simple, yet can be very costly. In 2016, I would like to see reasonably priced innovative whole house ventilation systems to meet ASHRAE ventilation standards. 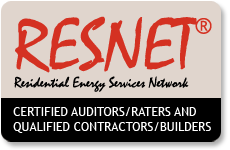 It is dumbfounding that as the importance of HERS ratings increases and RESNET makes efforts to increase the quality and consistency of ratings, there has not been a successful effort to improve the software tools used to generate energy ratings. The market leader, NORESCO's REM/Rate, functions like it is straight out of 1995. There are too many specific beefs to get into here, but the user interface is terrible and the function is clunky. This undoubtedly leads to many errors in HERS ratings, and increases the time (and cost) required to complete a rating. In 2016, I look forward to the shiny and (hopefully) improved web-based updated REM/Rate that has been 'coming soon' for a very long time.